It’s a safe bet that you could find the perfect spot for your second home in Nevada. Nevada is mostly desert, but there are mountains and canyons to explore as well. And of course, the urban centers serve as oases from the arid landscape. Elko offers an authentic western experience, including the state’s oldest rodeo—and the town is the jumping off point for exploration of the Ruby Mountains. If you want adventure on the open road, Nevada offers a host of highways that will lead you to the state’s many wonders—both natural and man-made. Part Old West and part contemporary gaming paradise, Nevada blends the past and the present. The state is also home to an eclectic collection of annual festivals. From the famed hotels and casinos to the exceptional performances from some of the biggest stars in the world, Las Vegas is town for those who love the nightlife. 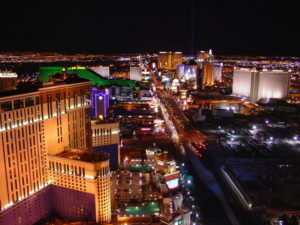 But there is also an art scene away from the Strip as well as a world-class performing arts center. They call Reno “The Biggest Little City in the World”—and its proximity to Lake Tahoe, the largest of the alpine lakes, as well as numerous ski resorts means the visitors and residents have a wealth of options right outside their doors. Gaming, the arts, and natural beauty come together is Reno. Roll the dice and take a look at Nevada as you consider a location for your second home. We like your odds of hitting the jackpot.